The Indian government expects its ambitious power sector programme to create the world records, including by making India the world's largest destination for renewable energy. "We are giving the message of India story as a whole and we are looking at getting back to excitement to investing in India across the sectors," said Power and Coal Minister Piyush Goyal, who is here to attend the World Economic Forum Annual Meeting. "Clearly energy is one sector where there is lot of excitement and interest that I am seeing from across the world," Goyal told in an interview. He is also in charge of the New and Renewable Energy Ministry. "The ambitious target that Prime Minister Narendra Modi has set out for 24X7 power to every home and industry and commercial establishments and also adequate power to farmers to increase their farm output, this demonstrates the demand for power that is going to come out," he said. Goyal, who is also holding a number of bilateral meetings with business and government leaders from across the world on the sidelines of WEF summit, said that India is at the cusp of getting into another orbit in terms of renewable energy. Similar is the case for power transmission and distribution sector as well as the energy access that has been lacking all these years, he added. "This entire put together is a $250 billion opportunity. This $250 billion opportunity is what would kick-start the investment cycle," he said. "My take is that money would flow once people get the confidence that their money is safe in India and the government policies are stable. There is a decisive government and honest government". Noting that all of these are attributes that Modi has demonstrated in Gujarat as Chief Minister, Goyal said the first eight months of the new government at Centre has shown the world that the Prime Minster means business, is focussed on reforms as well as on speed and scale of expanding the business. "My feeling is that the money would come from both within India and from international investors. "I would not like to put a figure, but the kind of interest that I am seeing when people are meeting me here with their plans, that suggests that we would not have any difficulty in getting $250 billion invested in the electricity and renewable sector within the target period of 2019," Goyal said. "We plan to have many solar parks. We are also looking at off-grid and micro-grids...," he said. "We are working with the states in easing the business of setting up wind energy. We are also looking at combination of solar and wind energy and there will be parks which would have both. 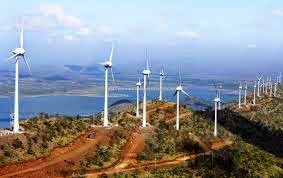 All of these will probably make India the world's number one renewable energy destination," Goyal said. At the same time, Goyal said that for Prime Minister and this government, what matters more than the records is the urgency to take benefits to the poor and the urgency to make up for the lost time. "It is the concern and compassion for people who are deprived of basic amenities like power... It is a deep commitment to raise the levels of economy very rapidly. Records will happen incidentally along the way," he said.